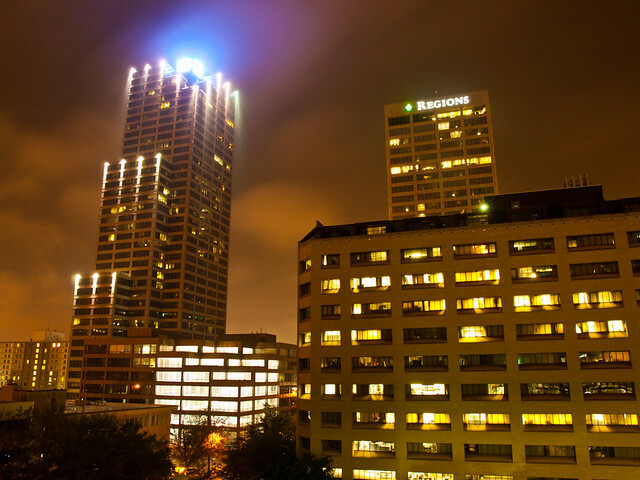 It was foggy and rainy last Sunday night, and since I had the camera with me I decided to head to downtown and maybe take a few pictures. It was right at dusk, where the sky had turned a bit blue, mixing in with the orange cast of the city lights. 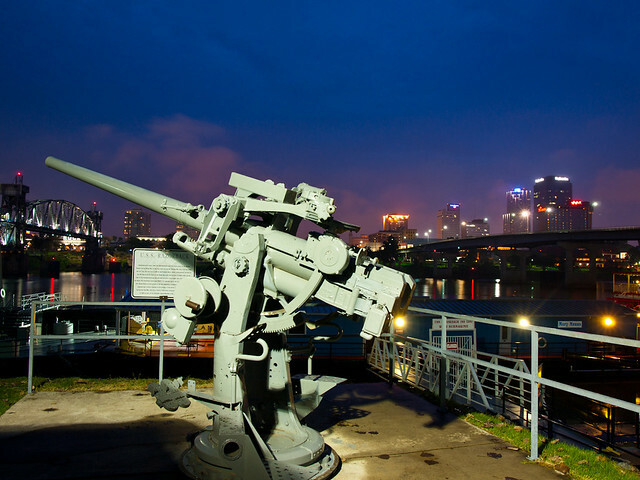 My first stop was at Riverfront Park in North Little Rock, where this large gun was sitting along the river. I'm not sure of its exact purpose, but I assume the gun is here as a sort of defensive measure, in order to protect the city of North Little Rock from any attacks from the city of Little Rock. The fog and low clouds made for some interesting atmospheric conditions. 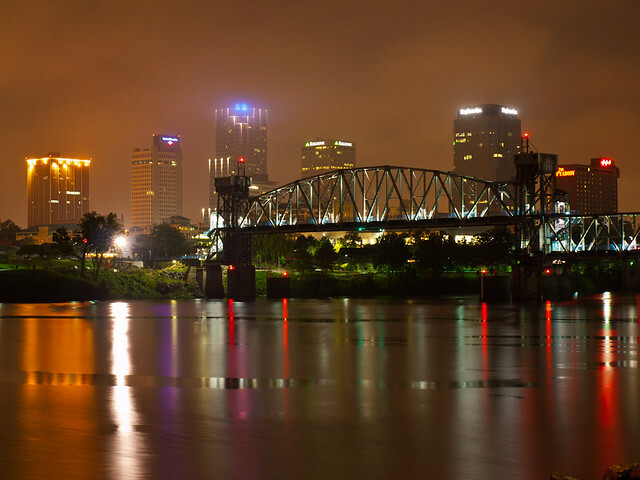 So I rushed over to get a shot of the Little Rock skyline and the Junction Bridge. Since it was raining some, I sat under the I-30 bridge with a few other people who were fishing in the river. I drove around Little Rock for a bit and ended up going to the top of a parking deck, which has a decent view of downtown. The fog was still drifting around, and was being lit up by the tops of the buildings. 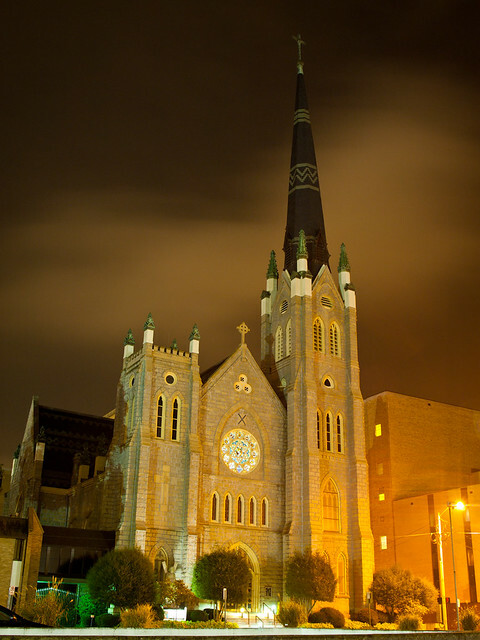 I drove down Louisiana Street and ended up passing by the Cathedral of St. Andrew. The cathedral was built way back in 1881. One kinda interesting thing about it, which I found out when googling the church to see when it was built, is that the bell in the tower was used as part of Little Rock's fire alarm system. 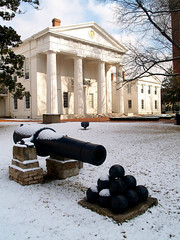 It retired from duty in 1944. I drove around a bit more, stopping at the state capitol and a few other spots. But nothing from there really turned out, so I called it a night and paid a quick visit to the Flying Saucer. It was heavily raining when I drove along the freeway, so hard that traffic was only going about 40 miles per hour. But the rain slacked off as I left the interstate at Morrilton. 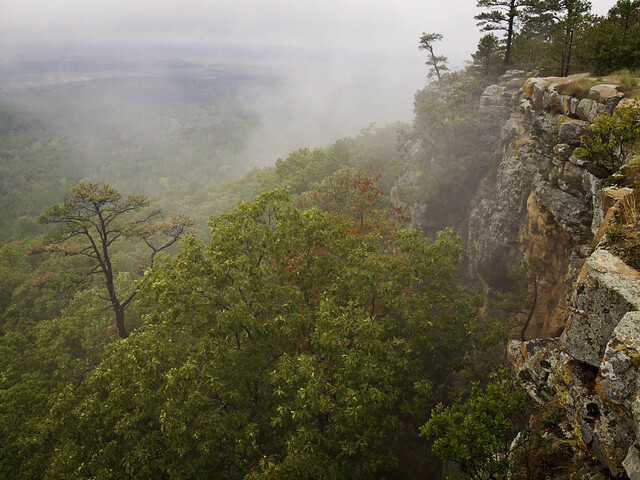 There was just a slight drizzle coming down as I approached Petit Jean, which was mostly hidden by a cloud of fog. After the twisty drive up to the top, I stopped at the overlook at Petit Jean's grave. Which of course, was slightly pointless since you couldn't see anything except fog. 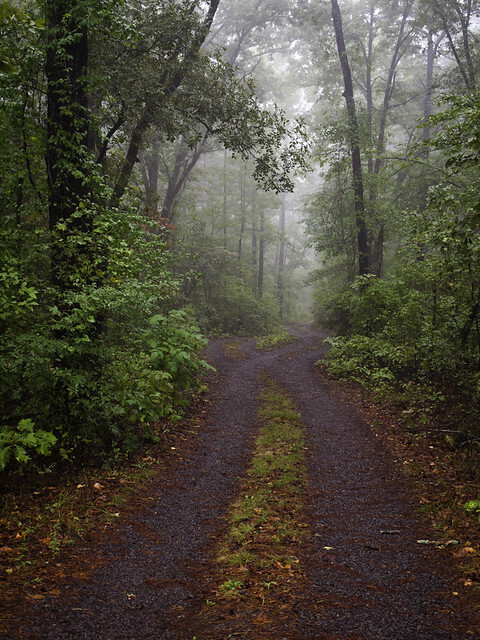 It was eerily quiet in the woods, since there wasn't anyone else out there. Soon I passed over the old stone bridge that usually provides a decent view of the waterfall tumbling over the dam that creates Lake Bailey. I slowed down and looked to see if there was a decent waterfall and saw.....nothing. The lake was still several feet low. It'll take a lot more rain to get that going again. My plans of waterfall hunting were sorely crushed. So I instead I visited a few other areas of the park. I headed down Red Bluff Drive, which has a couple of nice overlooks on it. The fog was breaking up some, so that you could actually overlook things. 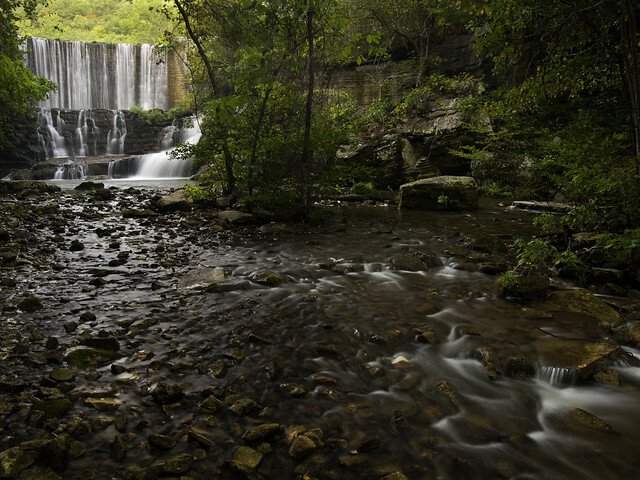 I continued to putter around the park, and decided to drive over to the Cedar Falls Overlook. Even though the creek looked sadly low at the bridge, I was curious to see what the falls were like. Surprisingly, there was a small but decent amount of water flowing through. So there might be some waterfalls after all, perhaps? Cedar Creek was low, with just a scarce amount of water in the creek. I finished the hike without taking the camera out again. But when I got back in the car I drove through the park some more, and found a few other things to get pictures of. 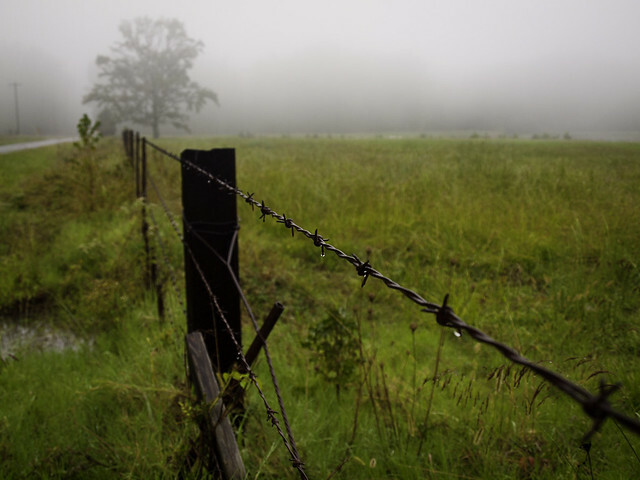 This was a fence along a field that was cloaked in more fog. 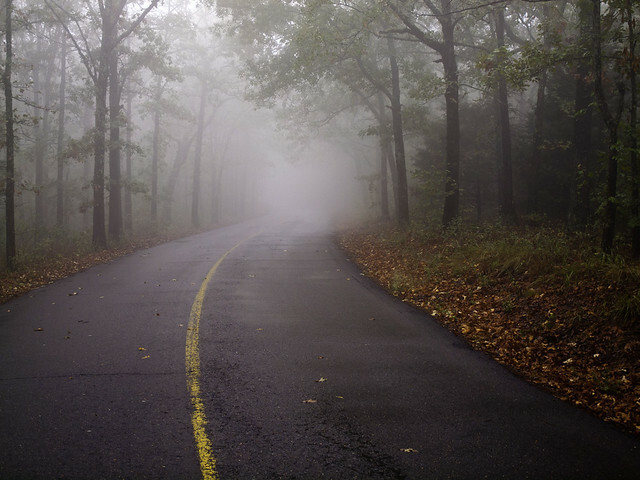 I drove by the overlook at Petit Jean's grave again and made another stop, since the fog seemed to have gotten thicker during the day. 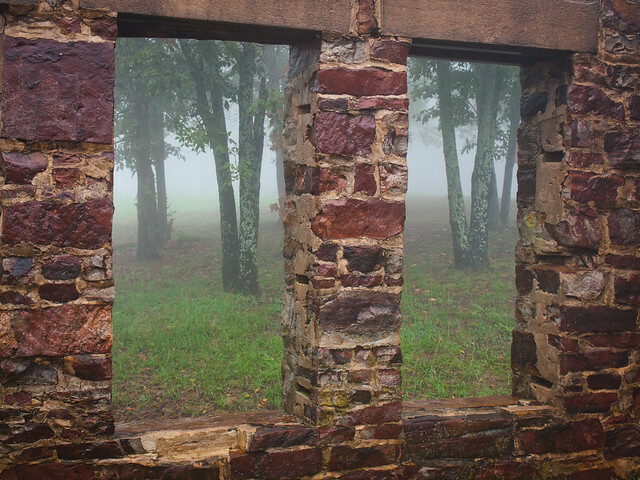 This was taken while looking through the shell of the old CCC lodge, towards the foggy forest. The bad drought that has lingered all summer had slacked some, thanks to some recent rains from Hurricane Issac. There was even some relief on Friday night, as a storm dropped a few inches of rain across the state. But it's not enough to really get any creeks up and running. And, of course, waterfalls have long since dried up. 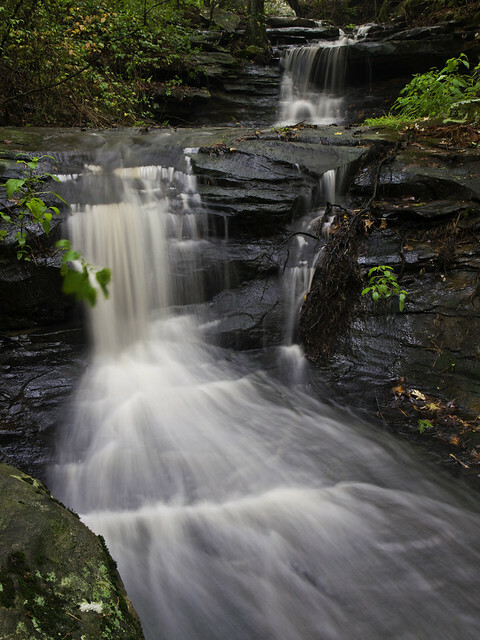 But there are a few places where you are lucky enough to find waterfalls running year-round. 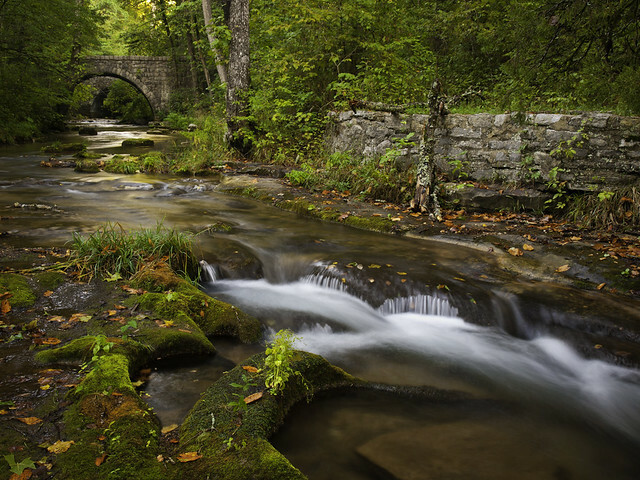 One of those places is Blanchard Springs, in the Ozark National Forest near Mountain View. 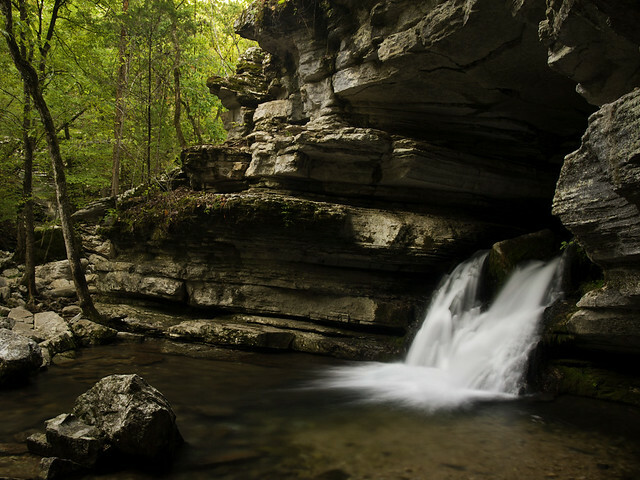 This is a spot where rainwater has percolated through the ancient limestone of the Ozarks, creating a large cavern system that is "considered one of the most beautiful in the country" (at least according to the Forest Service, who operates Blanchard). The river that flows through Blanchard Caverns pops out at a spring, discharging anywhere between 1,000 to 103,000 gallons of water per minute depending on local rainfall. So Matt, Zack and I decided to pay a visit to the Blanchard over the weekend. It was still dark when we drove into the recreation area. It had stormed the night before, but the skies overhead were clear. 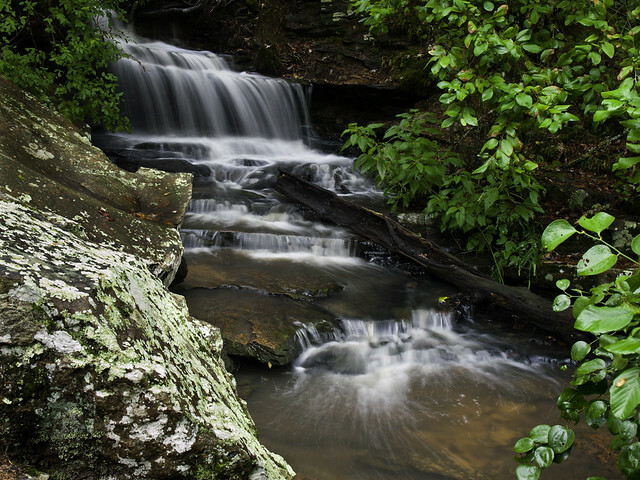 We tried to get set up for a few pictures while the waterfalls were still shaded. The first stop was below the dam that creates Mirror Lake. The dam was built during the Great Depression by the Civilian Conservation Corps, and was very artfully done. The dam has a nice spillway with a few waterfalls on it. 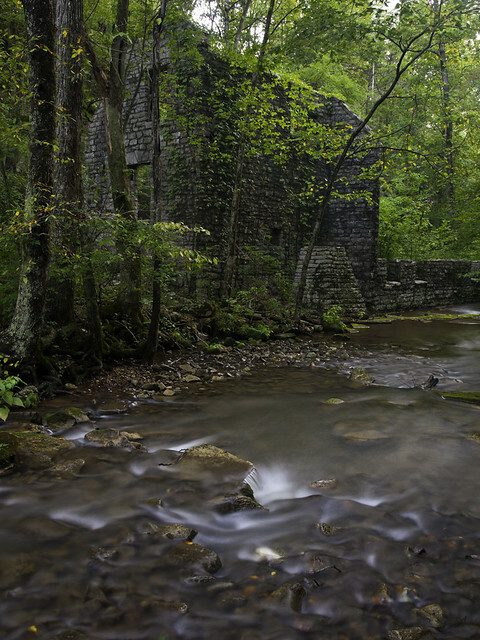 The creek flows by the ruins of Mitchell Mill, which operated from 1900 to 1928. 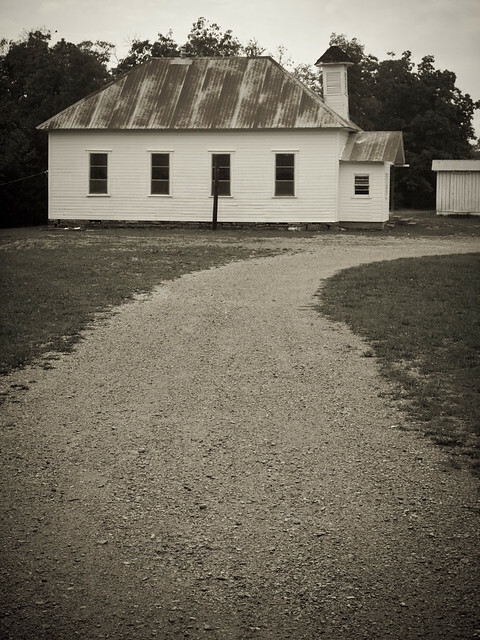 In 1942, the CCC partially rebuilt the mill. Their handiwork is still standing to this day. 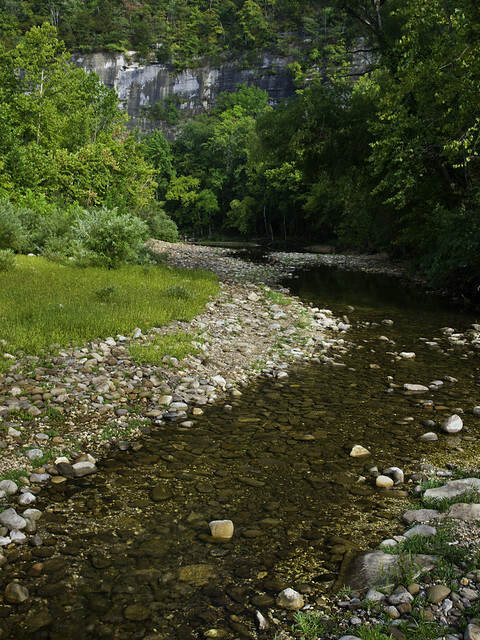 After that we made the long and difficult hike to Blanchard Springs. Which is a slight exaggeration, since the trail in is very short and paved. But after the short hike, we soon found the falls, which were running as always. 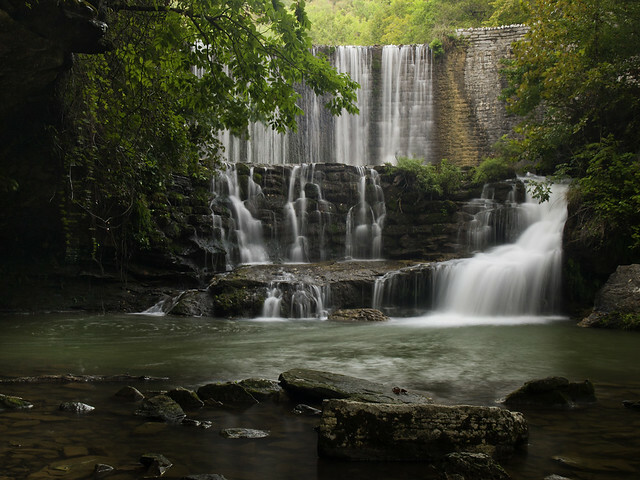 It's always nice to have a chance to take a waterfall picture, even in the driest of summers. The water streaming out of the cave is crystal-clear, but it isn't exactly clean. There is a bat colony that lives in the caverns here, which of course means that the stream contains some bat guano. We made the short walk below the parking area to the springs, for this view of the creek running below an old stone bridge (probably built by the CCC, but I couldn't find any info to know for sure). This was taken while standing in the creek, as the water (and bat poo) swept by me. I meant to write this on Thursday, but Hurricane Isaac had other plans. 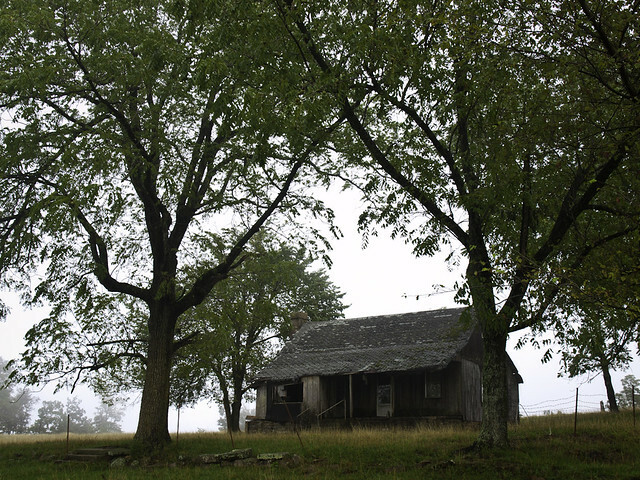 The storm, then a Tropical Depression, hit Arkansas that day. The rain managed to knock out power at my apartment complex, which pretty much washed away my plans for writing on the computer that night. The power was out until about 4:00 on Friday afternoon, when most of Isaac had drifted up to the northeast. The post was to be about my travels the previous weekend. Thursday, the 23rd, was a long day for me. I woke up at 4:45 in the morning, in order to meet Barry in downtown Little Rock for a few pictures of the sunrise. I drove to work, where I was stuck at the office until I left early at 2:00. From there, I drove up to Fort Smith where I was scheduled to give a photo slideshow at a meeting for the Photo Alliance of Ft. Smith. I was a bit nervous about it, since I had never given a slideshow before. But I think it actually went well. No one booed me, or threw any rotten fruit at me. 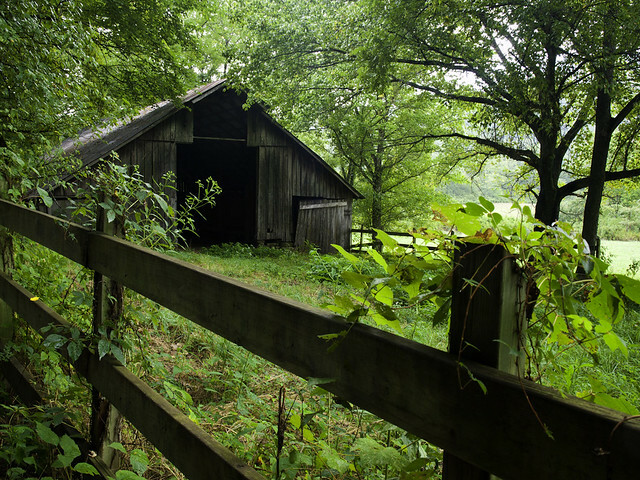 I had my radar set to find any old barns or cool old buildings alongside the road. There are a fair share of old tourist motels and camps, dating back to when Hwy. 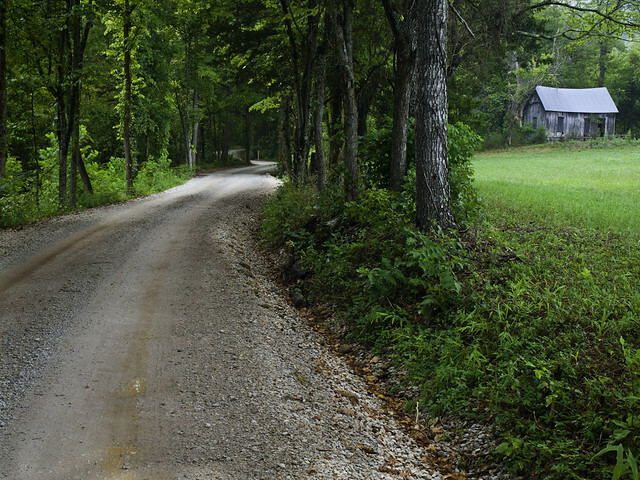 71 was one of the only roads heading north into the Ozarks. Near the town of Woolsey, I saw an old bridge out of the corner of my eye and quickly turned around for a better look. 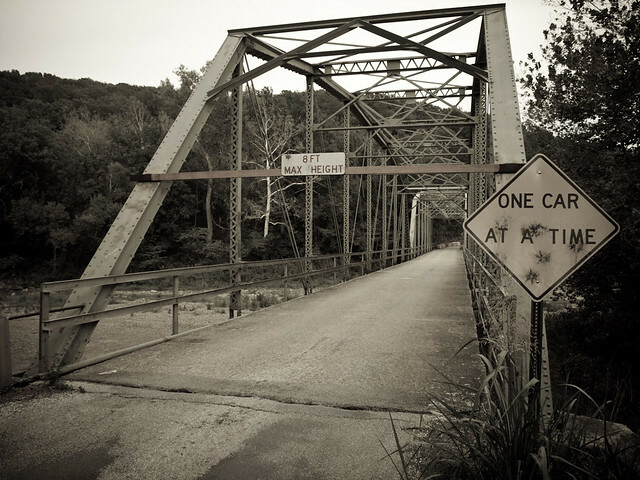 The old bridge, over the White River, was built in 1925 and still carries traffic on it. The river below the bridge was completely dry. The next day we drove up to Bentonville and visited the Crystal Bridges Museum of American Art. There was a special exhibition there of works from The Hudson River School, showing landscape paintings from the mid-19th century. After that, we saw one of the broadside prints of the Declaration of Independence, which was also on display there. We then walked through the rest of the museum. 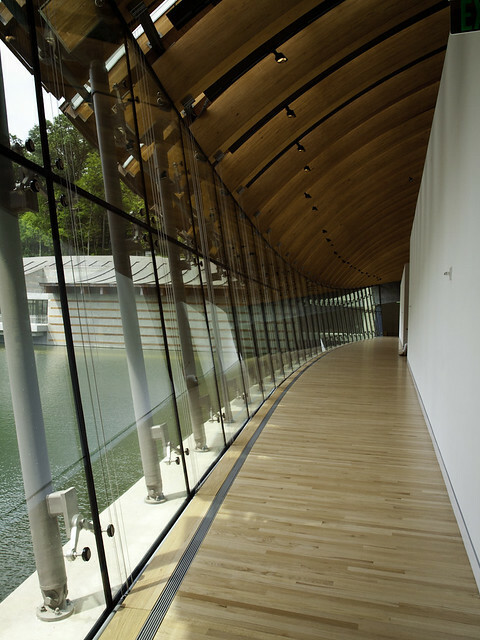 This was my second visit to Crystal Bridges, and I'm still impressed with both the works on display and the architecture of the museum. 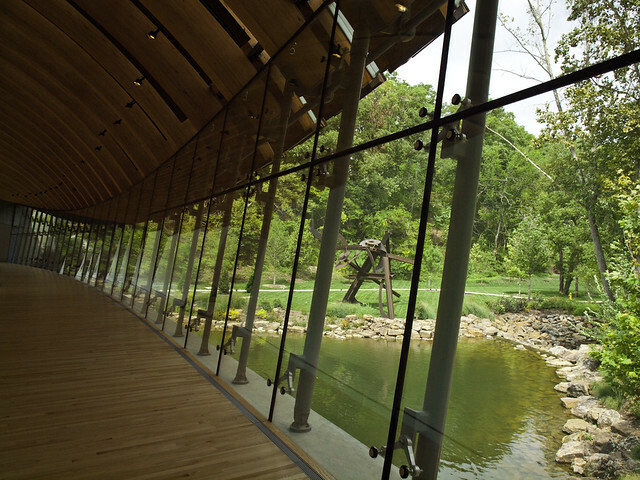 My one complaint about Crystal Bridges still stands, however. There is no photography there. Photography is a form of American art, and should be represented there. So if Alice Walton is reading this, I'd be more than happy to sell her a few prints of some photos, to fill up the much needed photography void there. After lunch, it was time to head on back home to Little Rock. I left Fayetteville and decided to again take the scenic route. 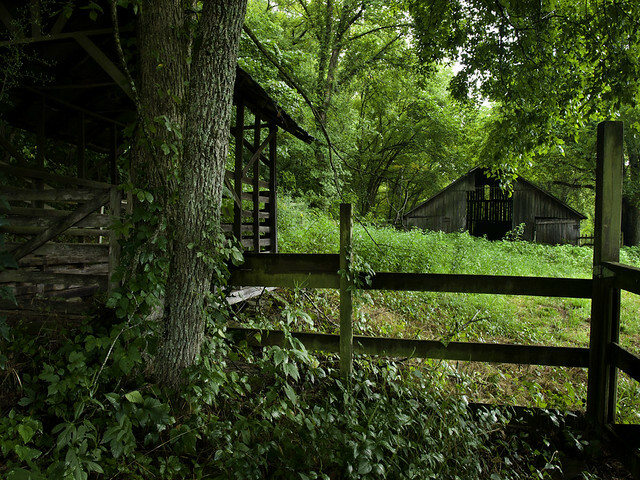 At first, I was just going to take the old Pig Trail down to Ozark, and then I-40. But half-way along the drive, I decided to take a little detour. 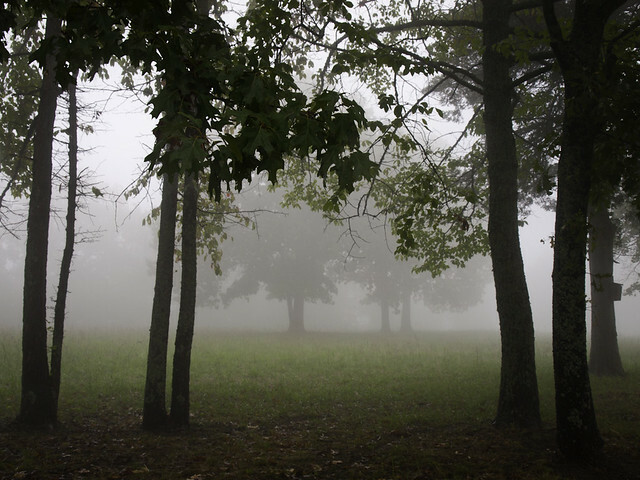 There was a light rain, which caused a thick fog to form along the tops of the Ozark mountains. I wasn't in too much of a hurry to get back, and perhaps I was inspired by seeing the old Hudson River School paintings that day. So I drove on, trying to see as much stuff as I could before getting to Little Rock. 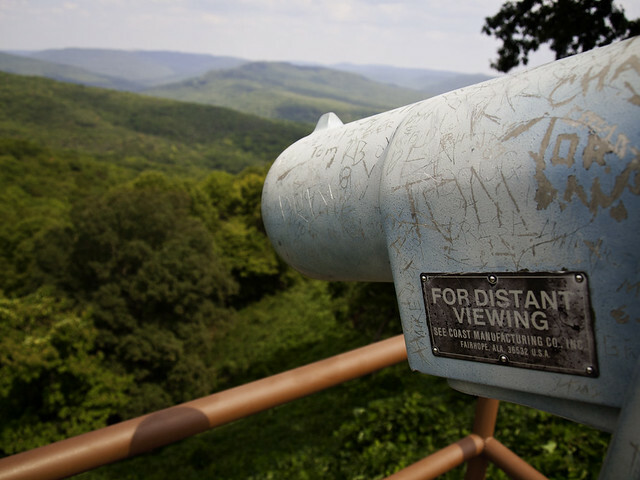 Since I've been to Boxley so many times, and taken so many pictures there, I tried to find some new angles and views. 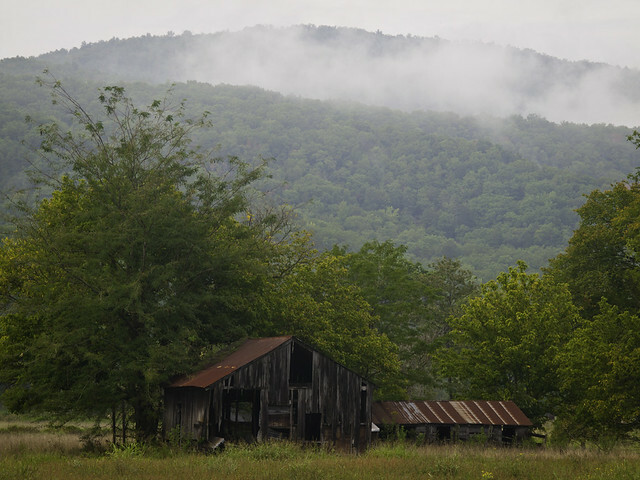 I stopped alongside the road for this view of an old barn, with the fog drifting along the top of the hill. There was a crowd of people just down the road, trying to get some pictures of the elk that were on the other side of the barn. But by then the sun had come out, and the fog was gone. I decided to drive on to Jasper because I needed to get gas. But along the way, I drove down to the Steele Creek put-in, just to see what the river was like. The Buffalo was running very low, as was expected.